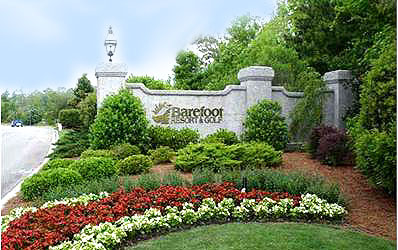 Barefoot Resort is a master-planned community in North Myrtle Beach, centered around the 4 golf courses, the Norman, Fazio, Love, and Dye Courses. This huge complex of homes, luxury mansions, townhomes, and condos sits between Highway 17 and the new Highway 31 bypass, and covers miles of pristine wetlands, nature trails, and wildlife preserves. The golf courses and communities are designed to blend into the natural surroundings instead of uprooting them. Each residential home community has its own amenities, usually including pools, tennis courts, and a clubhouse. As well, residents have the option of using a central Residents Club facilities, and the magnificent pool at the Yacht Club Marina. Read more about Barefoot Resort real estate. Restaurants in Barefoot Landing, which are just steps away, include Greg Norman's Australian Grill, the House of Blues, T-Bonz, and the Barefoot Resort Clubhouse. The beautiful Windy Hill Beach is just a few blocks away and owners will have a private cabana on location there. 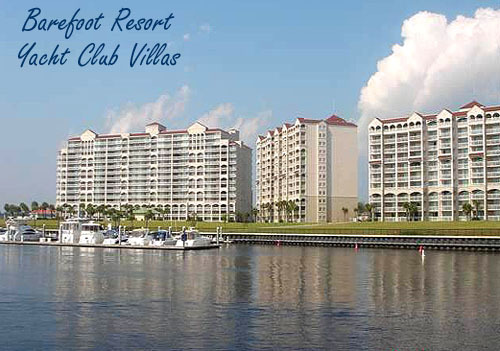 Summer months will offer a free shuttle service during the day to and from the beach as well.Since this resort is located on the Intercoastal Waterway and not on the ocean, many are quick to dismiss it. 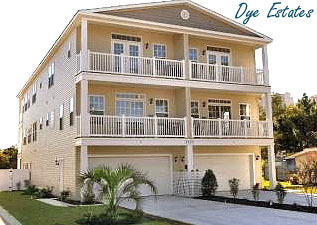 However, the luxuries associated with these North Myrtle Beach condos far surpass many oceanfront condos, making it a prime Myrtle Beach real estate investment. Enjoy world-class golfing, shopping, swimming, dining and nightlife from the convenience of Barefoot Resort! The lush surroundings, the nearby excitement of North Myrtle Beach and the outstanding amenities and services make Barefoot Resort the ultimate Myrtle Beach destination! 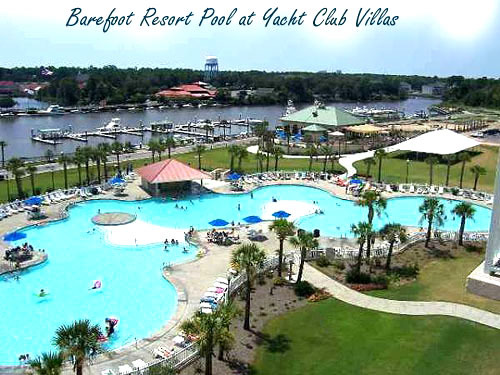 Located across the Intracoastal Waterway from the Barefoot Landing shopping complex, The Yacht Club Villas are a golfer's dream, surrounded by the four championship golf courses of the Barefoot Resort, and only rivaled, perhaps, by the resort's luxury accommodation and amenities. The Villas offer one, two, and three-bedroom condominiums with beautiful, waterway views, large, fully equipped kitchens with granite countertops, tile flooring, washers and dryers in each unit and private balconies with great views of the Barefoot and Yacht Club Marinas. The spacious floorplans and the beautifully decorated and appointed interiors of the Yacht Club Villas are designed for maximum comfort and relaxation. Each bedroom has its own private bathroom, and each bedroom includes a private entry. If the countless shops of Barefoot Landing or the championship golf doesnt keep you busy, then the resort's amenities certainly will. For starters, you will enjoy South Carolina's largest outdoor swimming pool. Other resort amenities include concierge service, an outdoor Jacuzzi for relaxing nights under the stars and an on-site restaurant and bar called the DockSider's Bar and Grille. This casual bar and grill offers full breakfast, lunch and dinner menus, as well as a daily breakfast and lunch buffet. Classic American cuisine and nightly drink specials are found here. For more information and a tour around Barefoot Resort, please contact us. We'll be happy to spend the day showing you around this wonderful community.